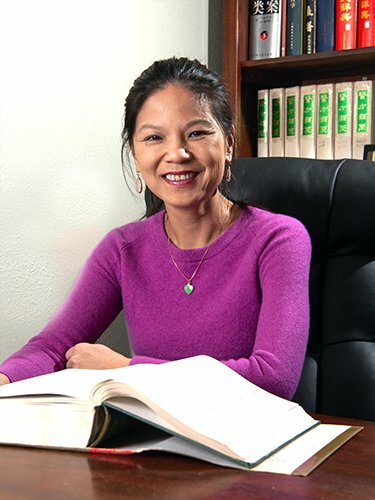 Juliana Chin Isogai is a traditional Chinese medicine healer and practitioner for over 35 years. Trained by the first traditional Chinese healer/herbalist, Dr. Hen Sen Chin (her father). Her knowledge and experience far surpass your typical neighborhood herbalist. Since the age of 5, she has had first hand experience working with herbs before formally apprenticing under her father at the age of 12. Since then, she has gone on to healing tens of thousands of patients following her father’s legacy. "I trained you to be the best...," Dr. Chin would tell her. Juliana spent large amounts of time working with her father, studying to better her knowledge and become an even better herbalist than her father, who was already one of the best, "...you can only get better." 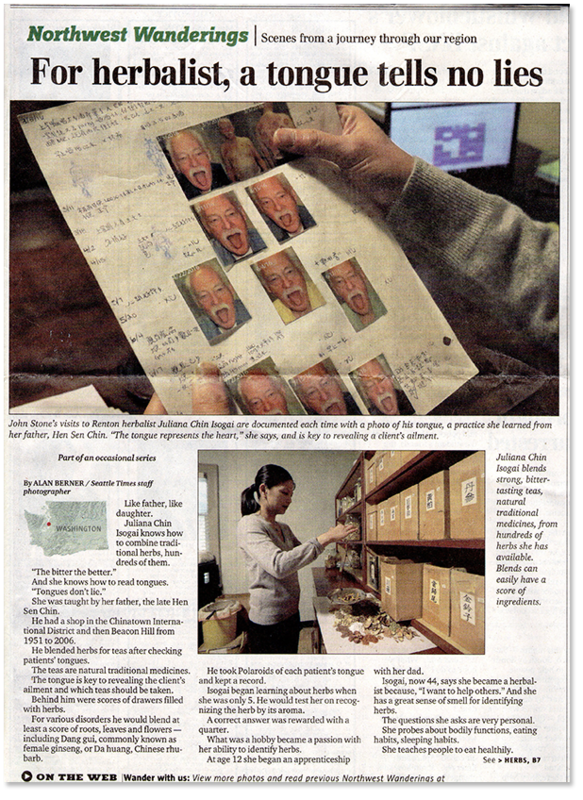 Juliana followed in her father, Dr. Hen Sen Chin’s footsteps in becoming a traditional Chinese medicine herbalist and practitioner. At the age of 5, Juliana became well acquainted with the different herbs and methods used to practice healing. She learned to distinguish the different herbs by look, taste, smell, and type, studying their properties and how they react with each other. Her hardworking nature and natural ability to tell apart the tens of hundreds of thousands of herbs allowed her to succeed in her father’s footsteps. At the age of 12, she became a formal apprentice, working alongside her father at the first location of Hen Sen Herbs in Chinatown of Seattle, WA. During the day, she learned about the different diagnosis methods and herbal prescriptions, experiencing first hand with patients as she watched her father. Often serving as his translator for patients who didn’t speak Chinese, she learned about each individual patient and what their health condition was. During the nights, she would stay up late with her father, studying different patient cases and understanding why a specific prescription of health remedy may be best suited for unique patients. Ready to schedule an appointment with Juiana? You can first fill out the consultation request form and provide as much information about your health as possible. You may submit the pictures of your tongue and the face ahead of your appointment (though it is not necessary unless asked) We will then give you a call to schedule an appointment for you. At the end of her apprenticeship in her early 20’s, Juliana took on a more active role at Hen Sen Herbs and became responsible for the creating most of the specialized pills at Hen Sen Herbs. She has flown all over the world taking care of patients, often making house calls and working late into the night to ensure that her patients are well taken care of. Although Juliana no longer makes house calls anymore, many patients fly in from all over the world seeking her help. Juliana’s vast knowledge and experiences has made her one of the most renowned herbalist and healer in the country, helping patients through any health condition, from the common cold to severe cases such as cancer, she spends large amounts of time continuously studying further for the best method of care for each individual patient. Over the years, she’s been emphasizing the importance of external health in addition to internal health. An avid hot yoga enthusiast, she always has 2-3 sessions a week, ensuring that her own health is well taken care of. She is passionate about practicing martial arts, especially qi gong, as it aids her in healing patients. Her profession may as an herbalist, but interests doesn’t solely lie in it. Juliana is always eager to pursue deeper in understanding the art of healing and traditional Chinese medicine. Through applying the different philosophies and theories with herbal tea and therapeutic treatments, she can further help her patients, especially when we live in a day and age where our health is of constant change. She is always prepared to help you feel better and be the best you possible! 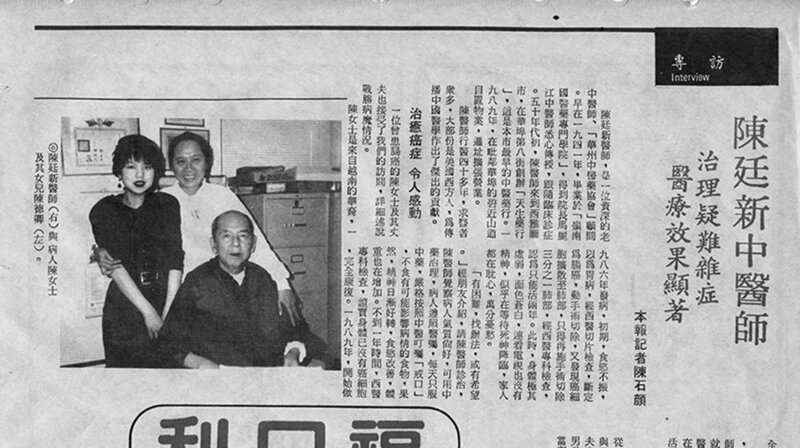 A patient was interviewed of her healing experience with Dr. Chin and Juliana in the late 1980’s, describing how she was had gone to see Dr. Chin and his daughter Juliana for her health concern and healed within 1 year time.